Today, the image of things that came. The University of Houston presents this series about the machines that make our civilization run, and the people whose ingenuity created them. When you stop to think about it, the idea behind digital pictures really isn’t all that complicated. Set up a giant checkerboard of dots called pixels, paint each dot a color, and stand back. 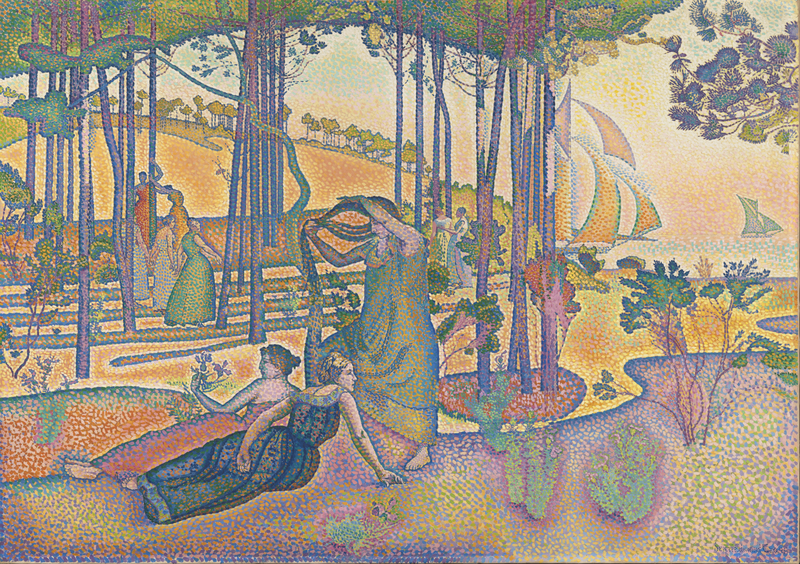 As an art form, Pointillism grew as “a measured painting technique grounded in science … renouncing the random spontaneity of Impressionism.” But digital photography was spawned by digital computers. The idea is painfully obvious. Bringing the idea to life was another matter. The Evening Air by Henri-Edmond Cross Photo Credit: Wikimedia Commons. In 1973 a twenty-three-year-old Steven Sasson was starting his career at Kodak. His manager handed him a newly invented device from Bell Laboratories. The device could convert light falling on a checkerboard of pixels into electrical signals that could be stored and manipulated. Was it possible this was the technology needed to enable digital photography? As was often the case for young research engineers at the time, Sasson wasn’t given direction or a budget -- simply the freedom to see what he could do with the technology. And while pondering how he might investigate the capabilities of the new device, a thought came to him. Why not go all the way? Why not make a camera with no moving parts? A camera that could capture an image, store it electronically, and display it on a TV? So together with the support of two talented lab technicians, he cleared space in a backroom lab and went to work. Using parts cobbled together from the dust bin they built and tested and built some more. And within a year they’d produced what Sasson affectionately referred to as a hand-held, digital camera – a homely eight-pound contraption roughly the size and shape of a toaster. 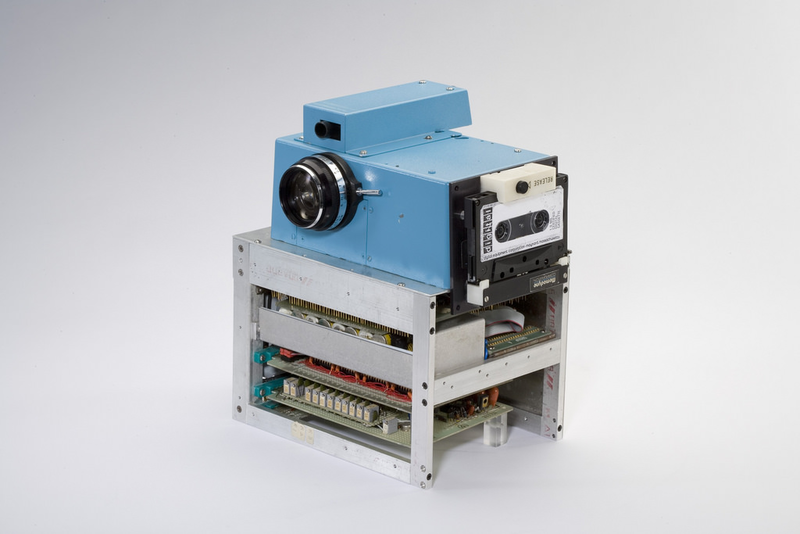 First digital camera invented in 1975 by Steven J. Sasson. Photo Credit: Flickr. Sasson demonstrated the camera throughout Kodak, ready to answer detailed technical questions. But they never came. Instead, questions focused on the impact of the technology. Why would anyone want to look at their pictures on a TV? How would pictures be stored? What would an electronic picture album look like? Bear in mind that the first primitive personal computers were just coming to market in the mid-seventies. And of course, lurking in the background was the question of how a digital camera would affect the highly profitable market for film, a market Kodak dominated. Failure to adapt is why Kodak, a company once on par with today’s Apple and Microsoft, is now but a shell of its former self. 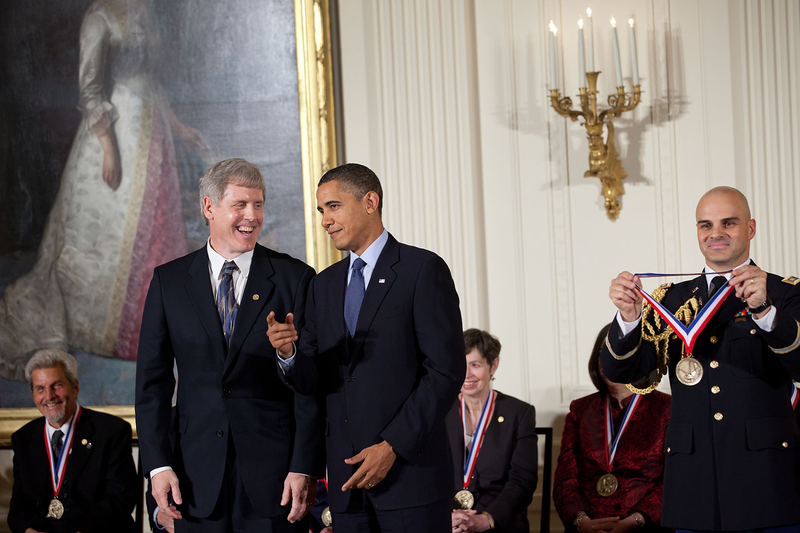 Steven Sasson receiving a National Medal of Honor from President Barack Obama. Photo Credit: Whitehouse.gov. Thanks to listener Ed Mirmak for bringing additional references to my attention that were included following the original broadcast. The two technicians who supported Sasson were Jim Schueckler and Bob DeYager. Rick Osiecki is also mentioned in the reference “We Had No Idea” but not in “Steve Sasson: Digital Camera Inventor,” the latter of which was used as the primary reference when preparing this essay. Sasson’s supervisor and co-patent holder Gareth Lloyd is also mentioned in this reference. D. Amory. “Georges Seurat (1859–1891) and Neo-Impressionism.” In Heilbrunn Timeline of Art History. New York: The Metropolitan Museum of Art, 2000. See also: http://www.metmuseum.org/toah/hd/seni/hd_seni.htm. Accessed October 11, 2016. Kodak’s First Digital Moment. New York Times, August 12, 2015. See also: http://lens.blogs.nytimes.com/2015/08/12/kodaks-first-digital-moment/?_r=0. Accessed October 11, 2016. Steve Sasson: Digital Camera Inventor. From the Youtube website: https://www.youtube.com/watch?v=wfnpVRiiwnM. Accessed October 11, 2016.